WWDC is winding down for another year, and once again, there was no new hardware. But, Apple's focus on software at WWDC is neither new, nor unexpected —and doesn't mean that Apple has abandoned anybody. The latest WWDC is in its last hours, and developers have started winging their way back home with a pile of mandates and improvements by Apple in tow. AppleInsider was there virtually and actually, as you're aware at this point. We're aware of the panic about no new hardware —but it isn't that big a deal for reasons both historical and current. Mojave finally gets nods back to the old, and practically antique, OS8 and OS9 appearance manager. 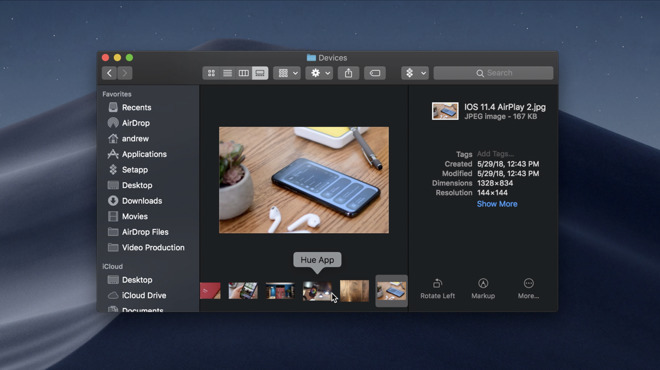 The new Dark Mode spans the entire operating system, and will be a sight to behold when more developers take advantage of the hooks that Apple has provided. Other improvements include the Home app and HomeKit support, even better privacy enhancements to Safari which will likely annoy Google and Facebook, desktop Stacks and a lot more quality of life improvements. Yeah, Apple's left some iron behind again. Because of Metal 2, if your Mac is older than 2012, you're probably out of luck. We already know that more will get lost next year. In the next desert-named operating system in 2019, it will ditch 32-bit apps and probably OpenGL for good. The times, they are a changin'. Again. In many ways, iOS 12 feels like wish fulfillment for iPhone users. 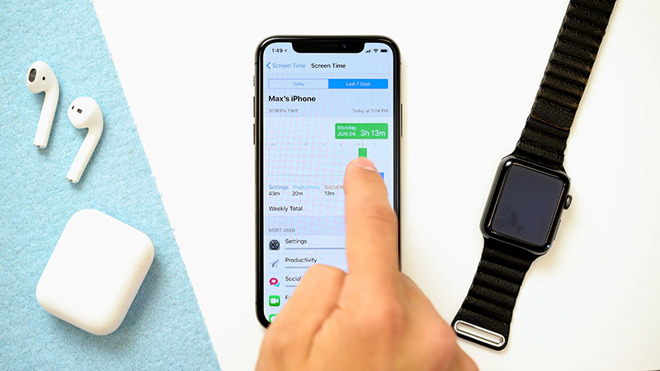 It brings along a lot of new features designed on making life with the iPhone easier, as well as promises of extra speed and a more smooth experience. Memoji, like Animoji, may not be everybody's cup of tea, but it will sell phones as the TrueDepth camera inches down the iPhone product line. Between Screen Time, an Apple Music refresh, more security features, App Limits and a lot more, we're hard-pressed to pick out a favorite. So far, they're all pretty good. All around, iOS 12 seems like a good addition for iPhones and iPads new and old. While we still don't recommend using it on a daily device right now because of crashes and data loss, it is very solid as first betas go. We have been very pleased with what we've seen for performance and features. But, there was no hardware. This shouldn't come as a big surprise, though. In 2017, Apple knew the iPhone X was going to be a big deal. So it looks to us like Apple chose to roll out the rest of the year's hardware earlier so both that new gear including the iMac Pro and HomePod, and the later OLED iPhone X, could shine on the company's own terms. Minus the single 2017 hardware bonanza, and the reveal of the iPhone a decade ago, WWDC has never been a day of mass hardware roll-outs. Again, minus 2017, it has been a show that has had some hardware, mostly to keep the developers up to date with what they need to support going forward. 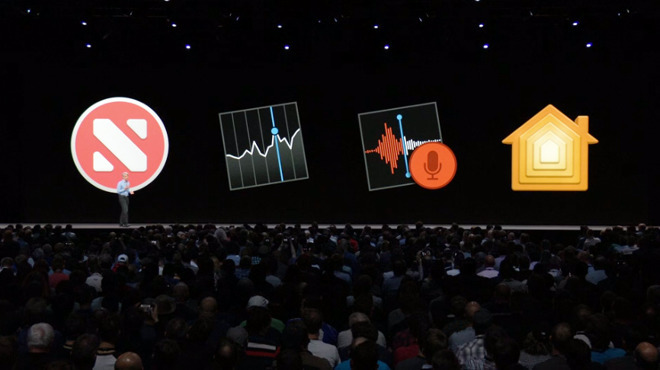 Speaking about telling developers what to expect in the future, Apple previewed the fruits of project "Marzipan" at WWDC. Instead of a straight emulation layer, it turned out to be a framework and API for porting over iPad apps to the Mac. While I'm certain that this can be used for good or evil, skillfully or poorly, it isn't a regression. I also believe that it is an early step for migrating at least some of the Mac line to ARM, as the porting friction reduces even further as the technology is finally released to developers in full in 2019. But, like we said on the AppleInsider Podcast on Friday, this reveal of what is rumored to be called Marzipan is about step two of a twenty step process. Whether or not this shift is good or bad for any individual user varies. If you're a macOS loyalist, you won't care. If you're first and foremost an Apple Intel hardware fan, this is less positive. Regardless of when it happens, it will likely start with the Mac mini and MacBook Air, or their equivalents. It will migrate upwards only as Intel falls unacceptably further behind, or when the majority of the high-end user base demands it —whichever comes first. There will be some pain-points, like there was the last two times we did this in hardware from 68K to PowerPC and PowerPC to Intel, and once in software from MacOS 9 to MacOS X. Apple handled it well, both with and without Steve Jobs, and there is no reason to believe that they won't do just as well this time around. There was a lot of info doled out, and more is yet to come as the new documents are studied, and the betas evolve further. This week was the developer's week, but there are signs that new hardware is coming not just in the short term, but the long term as well. Apple is very much beholden to its hardware partners, especially Intel —at least for now. As we have to keep saying, it is (mostly) on Intel why the MacBook Pro doesn't yet support 32GB of RAM, and also why Apple's powerful portable wasn't updated just yet. Apple bailed on the MacWorld Expo back in the day because it wanted to control the narrative and schedule of releases, without being beholden to release at the shows. WWDC is now no different —there's no reason to release hardware to a captive and rapt audience assembled for other reasons, when they can do what they want to do, or have to do, on their own schedule. We know that there are iOS devices coming very soon, because international regulatory agencies have told us so. Apple has done something uncharacteristic regarding hardware for so-called "Pros," no matter how nebulous that term is —they've said that the Mac Pro is coming twice now, and now we know that will come in 2019. Intel continues the plod forward, releasing faster and faster processors even as it misses internal deadlines by years sometimes. Its a reasonable guess that Apple is waiting for Cannon Lake for the MacBook Pro —and we've already spoken about the rest of the line even before the WWDC began. Obviously, you're welcome to add to the "churn" from one platform to another based on what you need personally. But, Apple hardware releases are coming soon, and it's never been more clear. Claiming that Apple is doomed because they didn't roll out new gear at WWDC is disingenuous and ignorant of history.